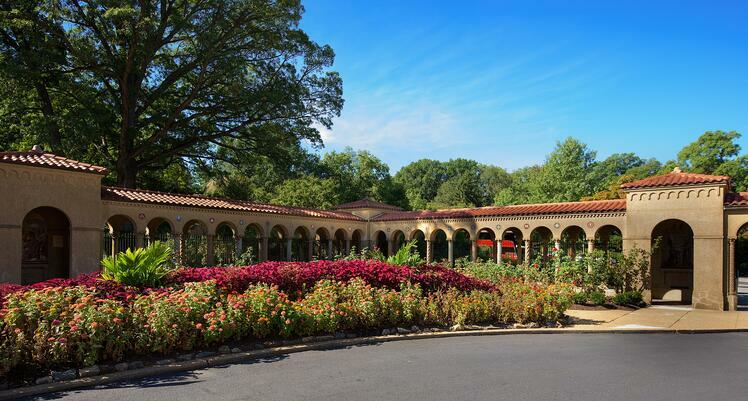 Visitors and residents of Washington D.C. can escape the hustle and bustle of the city and enjoy a spiritual oasis at the Franciscan Monastery. Completed in 1899, the monastery is open to the public for tours, visits and special occasions. With the landscape and gardens being some of the top reasons people come to the site, it was important to find a commercial landscaping company that truly understood those expectations. The Franciscans have close to 50 acres of property that includes a large shrine church, monastery, public gardens, shrines and chapels, central courtyard, large hall with parking across from the monastery for receptions and gatherings, small forest and meadow that includes a hermitage and more than 75 beehives, greenhouse, cemetery, parking lots and a private park with picnic tables. They turned to Level Green Landscaping to maintain the different areas about seven years ago. The maintenance team is on the site at least once a week to mow, prune, weed, replace plants, rake leaves in the winter and spruce up the space. 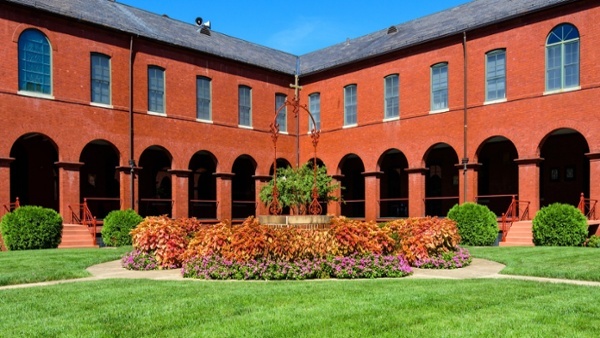 Most recently, Level Green Landscaping renovated the entire landscaping in the Monastery’s inner courtyard by adding new shrubs, plants, grass and azaleas to liven up the space, says James Kole, Level Green Landscaping account manager. They also replaced all of the boxwoods — more than 300 —in the front main rose garden. The rose garden, an open area visitors can walk through as they enter the monastery, is where the major landscaping work takes place. 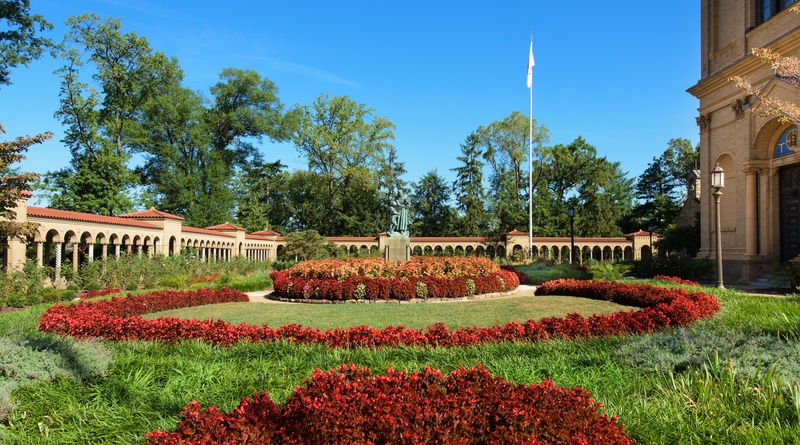 It has more than 3,000 rose bushes, plus perennials, annuals, statues and fountains. 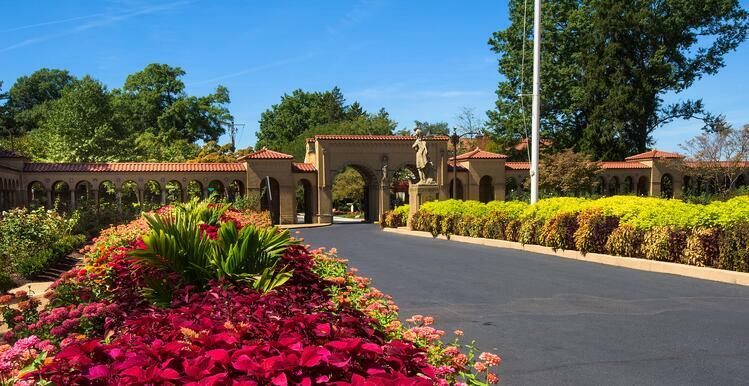 “The entrance gardens are what pull people through the gates, and we have a long-standing reputation for those gardens,” says Fr. 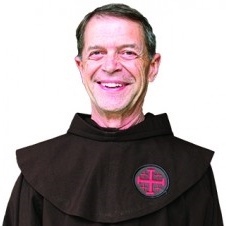 Larry Dunham OFM, the superior of the Monastery. “They’ve become our calling card: We’re known for them." “If we don’t get people to come through our front gates, there’s no way to impact people’s lives, educate them about our work and purpose or touch them in a spiritual way,” Dunham adds. The monastery isn’t on the way to anything, so people have to purposefully come there. The monastery usually sees several hundred visitors a week — including tour groups, students and people who just want to see the landscaping. In certain peak weeks in the summer, the number of weekly visitors can reach into the thousands. 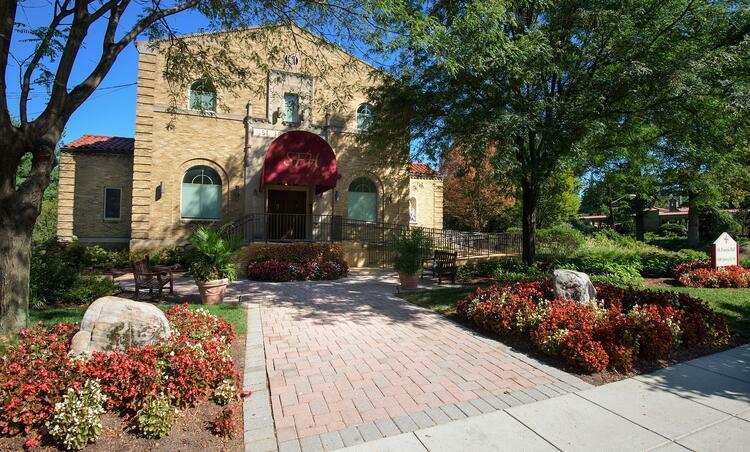 An extremely important part of the property that requires a lot of special time and attention to detail is the landscape around St. Francis Hall, across from the Monastery entrance. St. Francis Hall holds weddings and receptions every weekend, so it’s important the grounds are kept in pristine condition, Kole says. Level Green holds all of its properties and work to high standards, and that especially comes in handy with this property, Kole says. Beyond keeping the landscape in top condition, Level Green also worked with the monastery to tailor the services around their budget. Level Green Landscaping has shown him areas that might not need as much maintenance as others to offset costs of additions he wants to make, for example. “Cost is very important to us,” Dunham says. Good working relationships are built on trust, listening and doing what you say you’re going to do. And those are just a few of the things this client expected from a landscaping company. With buses of visitors coming to the monastery almost every day, Dunham says they wanted a landscaping company that would be there right when they needed them. The monastery has had a good relationship with both of the Level Green Landscaping account and operations managers who have worked on the property since he has been there, Dunham adds. Dunham asks Kole, the current account manager, to let him know when he’s working on the grounds so he can walk around with him and point out any areas of concern. “The entrance gardens are what pull people through the gates, and we have a long-standing reputation for those gardens. They’ve become our calling card: We’re known for them."